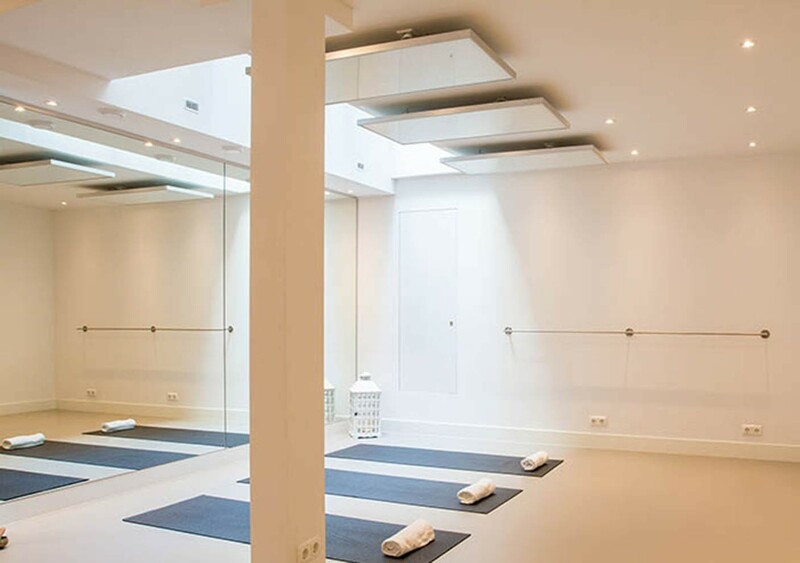 Nestled in the heart of one of Amsterdam’s most beautiful neighbourhoods, our Jordaan yoga studio is located just around the corner from Prinsengracht and the storied Elandsgracht shopping area. 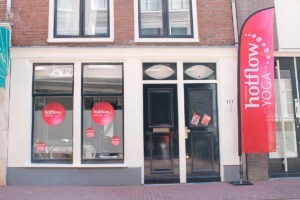 Entry and hot yoga studio are found on the ground floor of a quiet Amsterdam residential street just steps away from the canal nearby. Our yoga lessons are taught at a room temperature of 38 °C, at Hot Flow Yoga, we use infrared heating panels. Just like the sun, its rays will warm you from the inside out, heating the room only when you do, helping your body to detoxify in a safe and efficient way. This makes infrared heating not only the healthiest option for you, but also the friendliest one for our planet. The state-of-the-art infrared panels heat the body from within, waving goodbye to the many yoga studios that feel moisty and stuffy. Ann-Charlotte is from Sweden and has also lived in Bali, Greece, and the US. Her family is now settled in Amsterdam and she has made this city her home and hub. 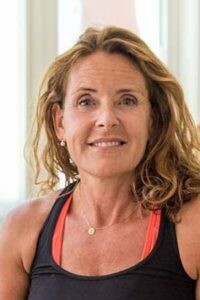 Ann-Charlotte has always done Yoga – mostly Iyengar Yoga.